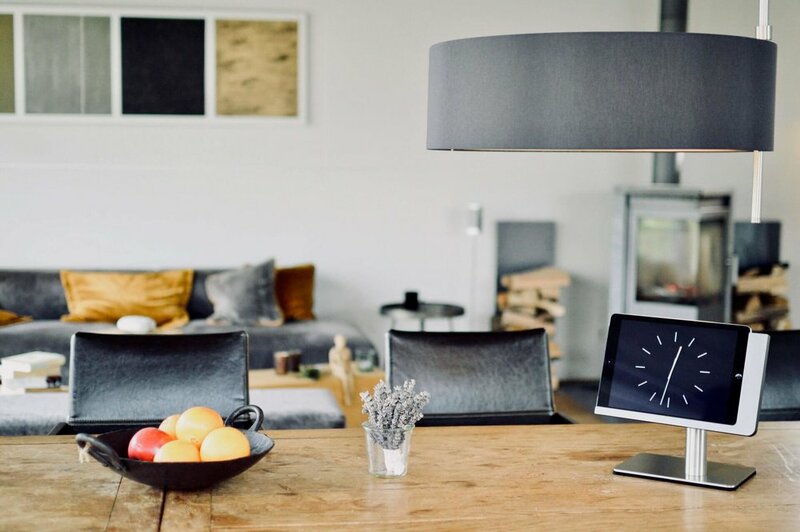 At your desk, in the living room or in the kitchen – this iPad holder is a highlight in every setting. 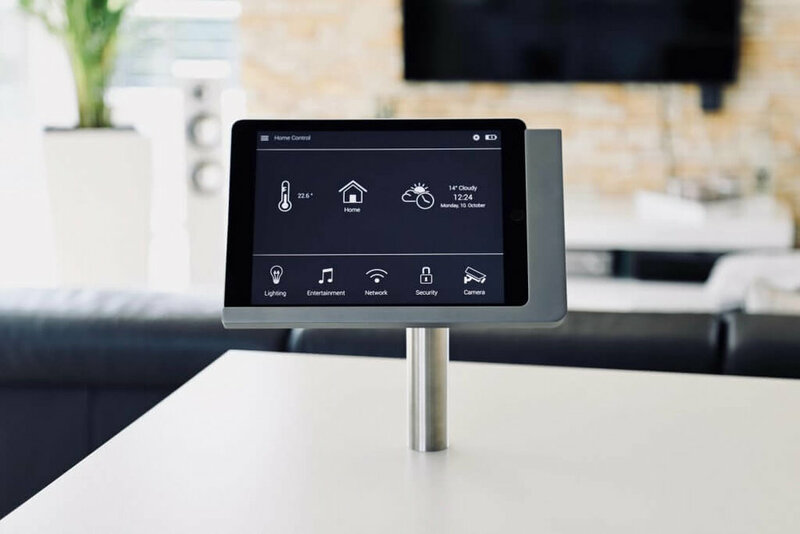 free flex is the iPad charging stand for lovers of mobility and everyone who values high-quality design and intelligent technology. Also available as iPad Pro dock. 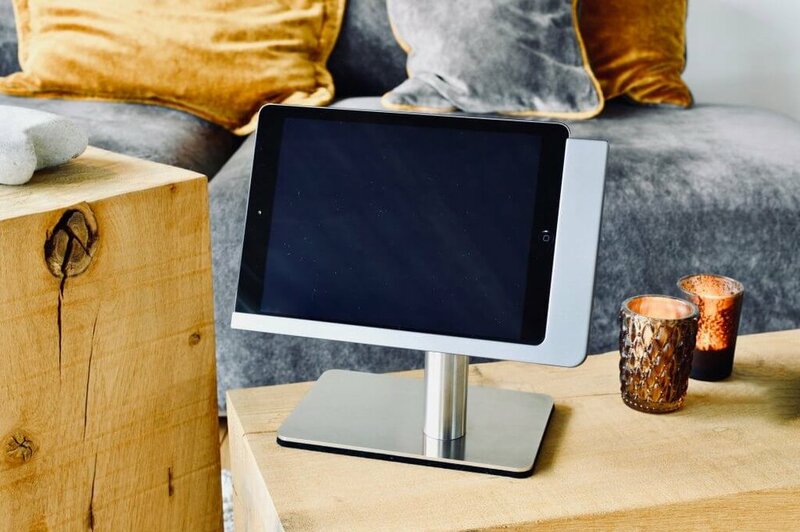 The pedestal of this iPad docking station guarantees perfect free standing use of your iPad. Use viveroo free flex iPad charging station wherever you want. This iPad stand is transportable but solid and robust in its material. No installation necessary. The stand itself can also be made to length, allowing for even more installation possibilities, key for the perfect lifestyle fit..